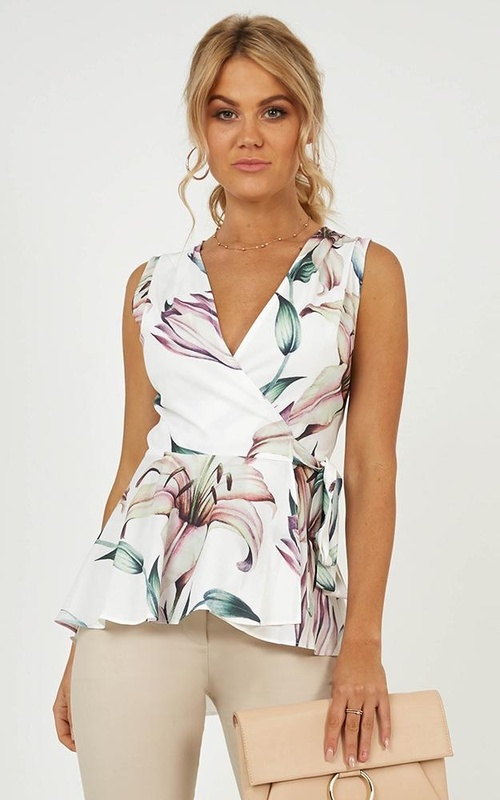 Turn heads in the Keep It Down top in white floral! 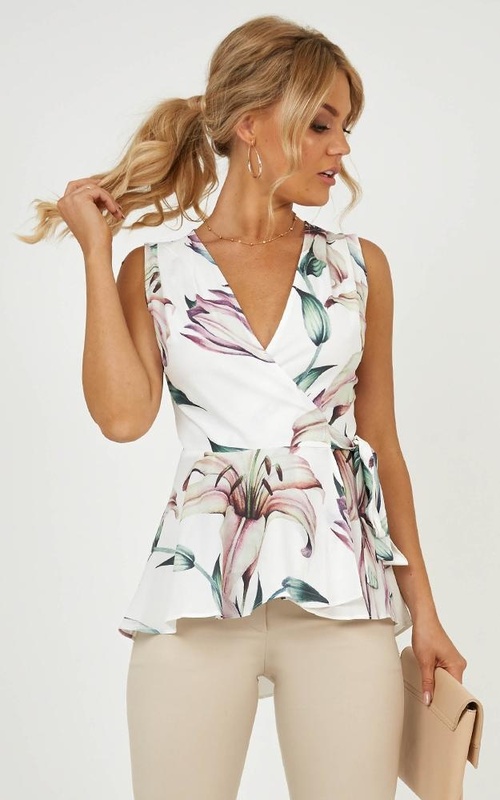 This peplum top has no lining with a front tie up closure for easy wear. 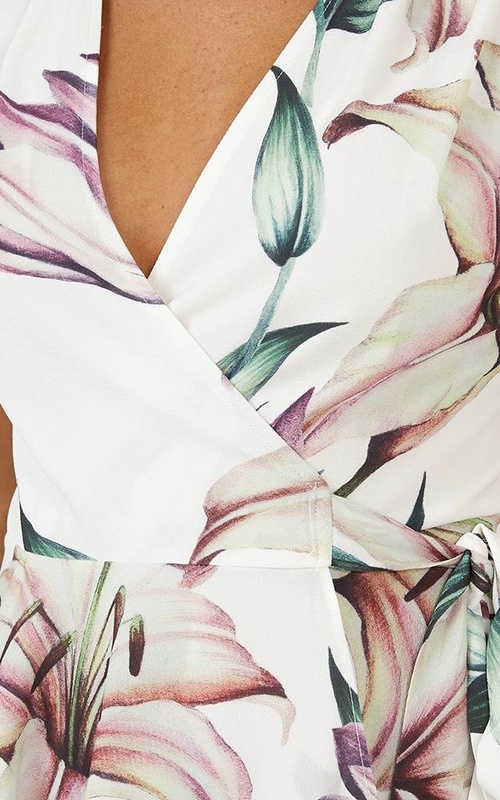 This corporate piece also features a floral pattern and a v-neck. Prepare to look amazing in this top. Oh! How I wanted to love this! I had high expectations of this one, but unfortunately, I couldn't get over its flaws. This top is VERY creape-y and doesn't breathe at all. 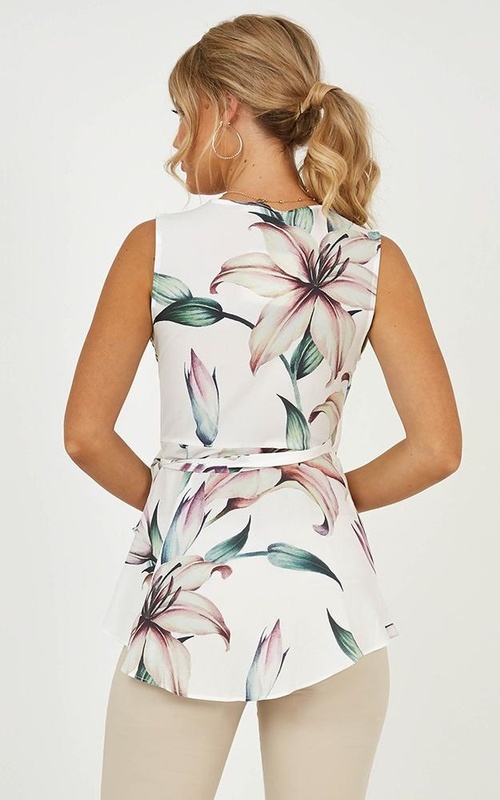 It is also no good for a short torso (which I have, and which peplum style tops usually looks wonderful on) as it gathers horribly at the sides when you try to tie it up. It is a wrap top, so if you have a longer figure then it would probably work alright, but beware the gathering!